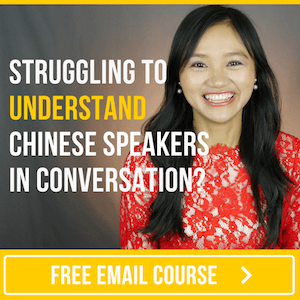 I just joined your newsletter and my current Mandarin level is roughly low intermediate. I’m going to be working for a Chinese company in the near future and was wondering if you could suggest some things I can say in Mandarin to make a great impression on my Chinese coworkers right from the beginning?" There’s obviously LOTS of little words and phrases you could say to get people to like, trust and want to work with you... But, for now, let's keep it simple! Note: Both these phrases can be used in work and social situations. "幸会幸会" has less of a “Chinese textbook feel” to it than "很高兴认识你". fēi cháng qī dài hé nǐ yī qǐ gōng zuò. Note: This is a great phrase for setting a positive tone at the beginning of a project or when you meet a new colleague for the first time. Note: When you’re in a new work environment and you need help with something, "不好意思，打扰你一下" is a polite way to approach a coworker about the issue. May I ask for your advice? / What do you suggest? Note: Asking coworkers for suggestions and recommendations with this phrase can help show that their opinions matter to you. Good idea! / Good plan! wǒ mǎ shàng qù zuò. Note: If something is important to a coworker (or your boss…) and you’re able to help them out, use "我马上去做" to let them know that you’ll deal with it right away. wǒ men yī qǐ lái jiě jué zhè gè wèn tí ba! Note: “Team work”… “Two heads are better than one”… If someone is facing a challenge and they’re having a hard time doing it on their own, use "我们一起来解决这个问题吧" to emphasize that you’re there to help and support them. Let’s get to work! / Let's start working on it! Note: Using this phrase after agreeing on a task that needs to be done can be a simple way of showing enthusiasm for, and commitment to, your work. Note: When it’s obvious that someone has put a lot of effort into something, "辛苦你了" is an excellent phrase to say to acknowledge their hard work.